This site was developed as a custom WordPress theme. 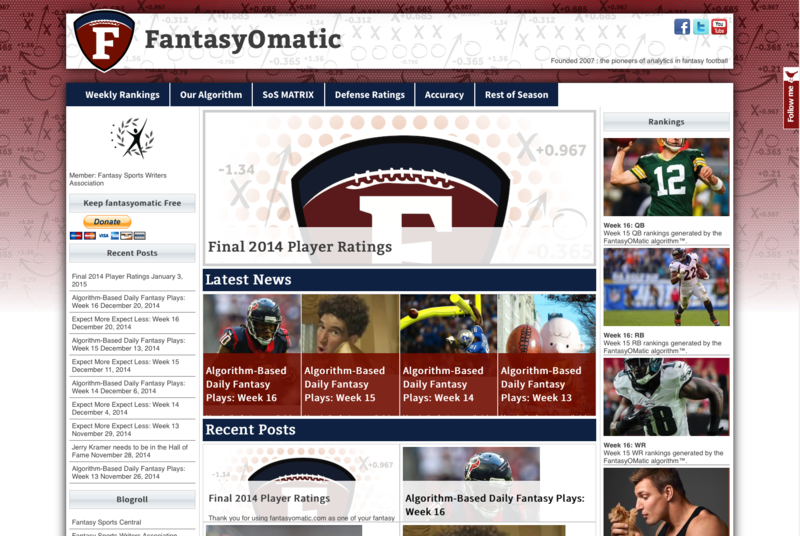 It is a full fledge fantasy football site based on the algorithm created by Cris Anthony. It includes user interfaces with databases to search and manage player rankings and articles about week to week prospects.